I hadn’t intended to write even this episode, but was encouraged to do so today by Z – thank you darling! And now I feel like doing another one. If I’ve put any of you on suicide watch, please alert me and I’ll shut up on the subject and write about something else, or nothing, instead. The first thing I had to do was pass the interview, about which I remember very little except for a question from a madman called Duncan, something like “do you prefer applied or theoretical psychology?” I think I got a left-eye wink from Barrie, the Head of Department, which I somehow took to mean ‘applied’, which turned out to be the right answer. This was the same Duncan who later, unannounced and uninvited, burst into a test session and stormed around the comms control room in Great Tower Street randomly pulling plugs out of wall sockets, in order, as he put it, to test the system to destruction – which he almost managed. The second thing was to relocate across the river to London Bridge, also not a problem. The tube journey was one stop more; the pubs were better and much cheaper. There were rules about who went to which pubs and when. Computer Department was a world apart from the rest of the bank, and contained cliques within cliques. You only socialised within your own team, which was project-based; and within each team analysts and programmers tended to keep their distance. Nobody explained any of this to me; indeed I don’t think they were fully aware of it themselves. It was an astonishingly isolated society. I got the hang of it fairly quickly, and joined in, of course. But I think that an injection of influence from the world beyond the castle, in the form of me and a few others like me, helped to break down both the monolithic elitism and the internal factionalism, much like in the former Soviet Union. As in that case, though, we were careful to close ranks when the outside world started to think they might know better than us what they needed. If a ‘user’, as they were disdainfully called, should appear down the Wheatsheaf one Friday, you could hear the air freeze. SWIFT ruled, and I became Mr SWIFT. The zealots in Brussels were determined that any sphere of business involving communication between two banks was fair game for messaging standardisation, and hence analysis of the actual underlying business structures and transactions. I think it’s fair to say that such an exercise had never been undertaken before – the creation of a set of business rules that would enable pairs or groups of organisations with no prior relationship to conduct trade in a common language. Nor has it been done since. It was a world-changing achievement, and it’s worth briefly digressing to explain what I mean by that. Nowadays, we take telecommunications for granted, obviously. To be technical, TCP/IP gets the bits and bytes from A to B, http provides an agreed method for unscrambling them, RSA for making sure they’re safe, html for a common grammar in which the content of the message is assumed to be written. But none of these say anything about the content. The ‘l’ in html and gml* is a semantic error, because a language consists not only of phonics, grammar and syntax, but also vocabulary. SWIFT standards were a brave initiative to supply that vocabulary on top of all the rest. A financial Esperanto. After a lot of faffing about, designing systems that were never going to get built, simply because SWIFT had reached too far beyond the banks’ catch-up capabilities, my next big project came from a completely opposite direction: inside the bank. What was called the Treasury was flexing its muscles, and knew that they would be harnessing computers. * html – hypertext mark-up language – grew out of an IBM product , gml, generalised mark-up language, which I used to write my reports back then in the 70s. I could probably write this post in gml – :p. means new paragraph, etc. Not html though. The tasting notes for my splendidly named Turkey Flat Butcher’s Block Shiraz Grenache Mourvedre 2010 told me to expect hints of five spice, plum, cherry and blackcurrant, with smoky, meaty undertones. As it happened, I had several of these ingredients in the house – plums, meat, smoke and five spice – so I had a sniff. I can’t swear to any of them, but I do now know that my little jar of Chinese five spice powder smells of sawdust. Tonight’s Rioja Reserva Dos Maderas 2006 exhorts me to detect cinnamon, clove and toasted bread. My jars of the first two do have a bit more nose to them than the five spice, because I use them more often, so they’ll be slightly fresher; I don’t have any toast to hand, I’m afraid. I see I also have, amongst others, allspice, caraway, fennel, kaffir lime, saffron, fenugreek, juniper, asafoetida, two sorts of pimento, three sorts of peppercorns and, um, curry powder in my spice drawer. Not having the corresponding wines in the rack, I can’t test these, but I don’t mind betting there’ll be a fair proportion of sawdust amongst them. The asafoetida must go back a decade. Talk about the mustard left on the plate! Colman’s have nothing on these spice merchants, do they? Still, they’ll probably be good enough for wine-making, if I ever take it up again. In an astute comment on my last post, in which I’d briefly agonised about the theological and ethical aspects of modern-day christenings, Z neatly caught the zeitgeist, with “any excuse for a party, I reckon.” I reckon Jesus would have approved. Also worth noting is that it’s probably one of the few celebrations at which the guest of honour is the only person present who starts the party with absolutely no idea what’s going on, and waits for everyone else to catch up. We were collected on arrival in Jersey (not immediately, but not too many K-Anx points later) and spent the afternoon not helping people to do things they’d either already done or couldn’t be bothered with. A heavyweight marquee and a couple of lighter gazebos had been installed just in case of a bit of rain or wind, and these had to be tested, by sitting under them during the occasional shower, testing the beer. I didn’t enjoy the big (in two senses) restaurant meal in the evening. The locale was fine, and the food was okay for quality, but served in off-putting quantities. I don’t want eighteen spare ribs on my plate, with chips, especially after a bucket of mussels big enough to bale out the Titanic. And I can never hear what anyone’s saying, and I know they can’t hear my replies. And I was knackered. And the bottles of Bombay Sapphire on the tables proved to be full of tap water. After the christening at midday on Sunday, the party in the marquee, gazebos and adjoining house was fine. Well lubricated and not over-watered or ventilated. And it proves acceptable to conduct a hog-roast inside a marquee. I must admit these nine-hour stand-up bashes seem to be getting harder, though, especially when there’s no dancing. I recognised quite a few people without really knowing who they were, which made for some interesting conversational tactics. I enjoy that kind of thing – tricks like “When did I last see you? Must have been at the wedding, I remember us chatting but I honestly can’t remember what about…?” usually yield up enough clues to move forward. K and I somehow got back to the hotel at about eleven. There’s an unwritten law of parties which states that the complexity of organising a taxi increases in direct proportion to the number of empty bottles. To this must be added the number of helpful advisers explaining that you don’t need one because it’s an easy fifteen minute walk via the unlit short cut across the golf course. We got back to Southampton too, next day, despite the horrific weather forecasts helpfully showing every ten minutes in the departure lounge, coupled with my knowledge that we’d be in a very small turbo-prop plane at 18,000 feet: even I will confess to a twinge of T-Anx. But luckily K didn’t seem to notice. As it was, all went smoothly, and I was able to walk through my front door in Reading at precisely gin o’clock. *K is Bertie’s great-grandmother, and does get anxious about things. All of them. I am a very practised K-Anx manager. Great- or Grand-Nephew Bertie (not sure of the correct terminology – he’s my niece’s son; come to think of it she’s my niece by marriage rather than blood, so that complicates it further: Grand-Nephew-in-Law? I quite fancy being a Grand-Uncle-in-Law) got christened on Sunday, in Jersey, and I was there. Something I don’t experience that often, so I thought I’d jot down a few notes, in no particular order, just for the record. Bertie, who is five months old, is one of those people who will look at a situation, assess it and decide on the appropriate reaction, before actually reacting. Much like his mother. So he decided that all this talk, in an unfamiliar language, needed a bit of pepping up, and joined in. His father, who seemed a bit embarrassed by this, briefly took him off to see the church organ, which obviously made more sense than the Order of Service, and was a bit less boring. As part of the service, a relative gets to do a reading of their choice (subject presumably to divine approval). N announced her reading as “a poem you will probably know – ‘If’, by Rudyard Coupling – erm, Kipling.” She swore to me afterwards that it wasn’t deliberate, but I don’t believe her. I’ve recently expressed some rather feeble reservations about a Christening being bracketed with a birthday, an anniversary, or even a funeral as an excuse for a piss-up. It seemed to me that it was, uniquely, a Christian religious ritual, of initiation rather than celebration – a thought that was reinforced by the actual ceremony, as sensitively conducted by the clever worldly vicar. But then we got back to the house and champagne started to flow, downwards, and the hog-roast got carved, and I put such childish qualms behind me. My road is a very very strange road, even by Reading standards. It’s a North-South rat run, directly between Caversham bridge and junction 11, so it gets a lot of through traffic; which was a pain in the ears when I first came here, but not really a problem since I had the secondary glazing put in and got acclimatized. There’s also a certain amount of passing pavement trade, which to my mind is to be expected (although not many of my neighbours would agree; nor, I suspect, will I if and when I decide to sell). The most interesting thing is the variety. I used to joke that we have everything except a thatched cottage, and that’s not far off the truth. Starting from the upper end, you find forties semis on the right (except for number 51, which is very peculiar) and sixties tower block flats on the left, set back in a Close (in the Watch we don’t talk much about them), followed by four-storey Victorian town houses, six or eight bedrooms mostly occupied by young professionals with two or less kids. On the left, the Victorian town houses suddenly change from family homes to converted bedsits and flats. On the right, the forties semis give way to my house, which is on a rather complicated cusp. (I’ll tell you the story of my house another time.) From then on down, with a few curious and notable exceptions, it’s mostly bedsit land until you reach the huge doctor’s surgery on the left and the nursery on the right. Oh, and the funny little cottage tucked in just before the bottom of the road. Those of you who live in Reading will now know exactly where I live (as, of course, will those of you who’ve been here). I have some kind of role in the Neighbourhood Watch, and as you can guess there’s a lot of dispute, much of it behind the scenes, about where the boundaries lie. The upper avenue wants to preserve its exclusivity, pretending that the lower orders aren’t really there (except for our outliers). The lower orders don’t get a Watch voice (even though I suspect they’re mostly decent folks who happen to have to live in bedsits or flats, because that’s the way it is). Across the road from my landing window, I can see into one of the bedsits on the other side of the cusp. Two little kids, about four and seven, are brought home by their mum, and immediately climb up onto the windowsill, where they watch the traffic and the people, and possibly me. I try to imagine what their lives are like. I’d love to wave to them, but I daren’t. I’d love to invite them and their parents to the next Neighbourhood Watch meeting, but I daren’t. The move to the Computer Department, as it was called, was convoluted. I’d been running the Cripps Warburg rundown for the best part of a year. The job consisted of checking the list of defunct loans every morning, making a few phone calls if required, booking a dollar rate at eleven o’clock with Ken in the dealing room, sending out some telexes, filling in some forms, and going down the pub. In the afternoon I’d set up the next day’s routine and then go home as soon as I could decently get away with it – that wasn’t hard, as I was sitting in a backwater where everyone’s key objective was to keep their heads down and not rock the comfy boat. I was stultifyingly bored. So when the offer to join something called a ‘test team’ came, I said yes, even though I had absolutely no idea what this meant. To be fair, nor did the person who made the offer. It turned out that a new computer system had to be created, tested and installed, by a given date (1st May 1977, I think), in response to something called SWIFT, standing for Society for Worldwide Interbank Financial Telecommunications, which tells you most of what you need to know about it. The brand new idea was that computers could be made, using internationally agreed messaging standards, to talk to each other; the actual banks, and their computers, would just have to agree and fall in line. Imagine it: banks from thirty countries across the world, having to agree for the first time ever to a single rulebook - written in English but spoken in as many dialects of computer as there were banks - working together to a self-imposed timetable in which failure wasn’t an option. It was a bold, visionary initiative, which couldn’t happen now. I turned up on day one, along with the other eight misfits, to find we’d been sat round a horseshoe desk layout. Tom and Dave, the computer guys who were more or less on their own trying to get this system designed, specified, programmed, tested and implemented, whilst running on empty, had rightly decided this was the best way of getting the help they needed. They gave us a pep talk, then we all went for a drink. Then we came back, pissed and laughing, and worked out how to do it. It was the most intense eighteen-month period of my working life, and the most exhilarating. Who can say how we managed it, but we did. My bank actually sent the very first live message over the brand new SWIFT network. A few days later, to my honest surprise, I was offered a full-time job, with a modest salary increase, as a Systems Analyst with the Computer Department. As always, I said ‘yes’. This time, I meant it. We were talking about the concept, fashionable a few years ago, that everyone on the planet is separated from everyone else by no more than six links of acquaintanceship. Examples were mooted and considered, but it was nearly time to tip down the G & Ts, switch to the Cobra beers and eat the curries, so P brought the debate to a close by announcing “but it’s cobblers really, isn’t it?” I had to agree: though, as it happens, I can reach Steven Spielberg in two steps, and Helen Mirren in three, I’d struggle to get to, for example, a Tuareg nomad in the Sahara in six. As often happens, a small world had mistaken itself for the big one. It’s a fairly boring, not to say meaningless, parlour game. She had been to the funeral, in rural Wiltshire, of a friend who had succumbed after fourteen years of various cancers. Sad, obviously, but not entirely tragic. Afterwards she bumped into a mutual acquaintance she hadn’t seen for probably more than fourteen years, and the small talk, as it always does on such occasions, hinged around ‘so what have you been up to?’, and C mentioned that they’d just come back from a visit to their second home in the unique village of Porthgain, in north-west Pembrokeshire. The acquaintance remembered being there, many years ago. He and his partner had gone there as part of a Welsh touring holiday, but then their elderly camper van sprang a leak in the car park and the radiator drained out. He crawled underneath, but there was nothing he could do. As they were getting ready to despair, a man had emerged from one of the cottages and wondered if he could help. He was very kindly, proved to possess an unlikely store of tubes and jubilee clips, and eventually got them on their way. I use the word ‘thinking’ inadvisedly, because blaming the whole United States of America, and randomly murdering any Americans who happen to be close at hand, for the actions of a few evil halfwits who happen to be its citizens (if indeed they are – the perpetrators of this insignificant chunk of trollery don’t seem to be that keen to stand up and defend themselves) isn’t really worthy of that scale of recognition, never mind respect. But it’ll have to do. Thought – the ability to string together ideas, however puerile, into courses of action, as opposed to reaction – is the one faculty that distinguishes us from slugs. Instead, the thinking blocks seem to be swelling and congealing along the lines of ‘America has insulted our ideas, so we must kill America’ on the one side; and ‘We must respect those ideas, even though we don’t like them killing us and haven’t a clue how to stop them, except with bombs’ on the other. And so the unceasing war goes on. The boy followed the magician’s instructions, and after overcoming many perils came into the presence of the Princess. She smiled and kissed him. He took the golden screwdriver and undid the screw in his navel, and his arse fell off. The brilliant lady at the Sky helpline was all sympathy. “You must be desperate,” she said. I explained – not really, to be honest. “Oh, I would be. I need it all the time, just for the background noise really.” We have arranged for an engineer to come and fix it on Monday; so I’m not actually that far behind the curve. Meanwhile, last night I watched my DVD of the amazing Rupert Goold production of ‘Macbeth’, about which I find I have written before. I probably wouldn’t have done that if there’d been some live TV not to watch. *This reminds me of a joke. Anyway, I managed the drive home. I don't know whether or not this was due to ibuprofin, nor whether the condition is improving - the trouble with painkillers is that they kill pain, which is your body's way of telling you "best not to do that at the moment". But it was just as well I did, because when I walked in the house the first thing I noticed was that there was no electricity. Just as well I did, because the freezers were still frozen (though I've chucked out some prawns just in case), so it can't have been off for long. If I'd stayed for another 48 hours as I'd planned ... Imagine! Turns out the Sky+ box has decided, after eight years, to give up (which tripped the mains circuit breaker! I mean, really!). It might just be the fuse in the plug, of course, but I can't check that as yet because to do so requires energetic use of my right arm. I'll just have to do without TV for a few days. Boo hoo. Some time after the merger, we relocated from the opulence of 67 Lombard Street (its awesome cupola already in the process of being trashed by the insertion of a mezzanine floor, the ripping out of the old marble counters in favour of more cost-effective plastic tops and security screens, and eventually the unforgivable demolition of the famous font – the outspring of an ancient artesian well, which had stood since the early nineteenth century in the middle of the grand old Banking Hall) to new premises in a slab of a sixties office block in Great Tower Street. This was nothing but good news to us poor sods who had to work there. The offices in 67 were slotted in like misplaced Lego bricks, wherever they’d fit, around that Banking Hall and its dome, which probably took up sixty per cent of the volume of the building. This new office was open plan, adjustable by partitions, fully wired for power and phone (and even, later, computer – the floor could be lifted!). In 1973, it was working heaven. My sense of spatial adjustment not being particularly good, I did a couple of lunchtime dry runs to make sure I could find my way to work on the first Monday. That was when I found out a lot more about the amazing diversity of the City of London. It was an eye-opener. You’d pootle down a bland Eastcheap, turn a few corners at random, and suddenly fetch up against a Wren church which would grab you by the neck and haul you in to worship; another corner and there’s the magnificently useless Monument to The Great Fire, insisting that you just get up there and do it again – Verticality is Power (says the Shard today). I found the Minories, Mincing Lane, Fish Street Hill, Seething Lane – all names Pepys would certainly have recognised, and Shakespeare might have. Botolph Alley. King’s Head Court. I looked for Gropec*nt Lane, but it must have got closed before I came on the scene. Shortly after this relocation, I was moved to the Exchange Control counter. Exchange Control was a quaint idea of the post-war government that people, or organisations, should have to demonstrate due need before being allowed to ship their assets willy-nilly out of the country, and therefore had to get permission to do so. Some of you may remember having to have your passport stamped and initialled before being issued with your £50 for your trip to Jersey or Marbella. I dealt, though, with the bigger corporate stuff, which involved intricate knowledge of a seven volume manual of principles, rules, thresholds and delegations, which I devoured. Because I was behind a counter, I also had occasional direct proximity with the public, which provided some freshness. I remember most of an afternoon ensconced with Al Anderson, the lead guitarist with Bob Marley and the Wailers, sorting out how to get his cheque cashed; we both drew out the process and, as you can imagine, covered a lot of conversational ground. I briefly got to play his Strat. The job also offered direct proximity to my boss’s secretary. Nothing actually happened, but it nearly did. (I’m still a bit sorry it didn’t, to be honest.) It must have been pretty obvious, because I was suddenly whisked off across town to an office in Chiswell Street, to participate in the shutting down of a failing merchant bank called Cripps Warburg. They’d lent too much unsecured money to some dodgy customers, so had to be bailed out … How could that happen? Unthinkable today of course. The operation was overseen, I’ve just remembered, by the future Leader of the House of Lords, getting some work experience before he took up his proper position. He was a super guy, actually. Once the old staff had been fired and the loans were in more or less rotational roll-over mode, this non-job went on for about twelve months, each more boring than the last; until I was suddenly whisked off again, this time in the direction of computers. Guest Post – FIVE STAR BLOG!!! The impact this amazing, incredible blog has had on me since I started reading it in 2008 really, definately is impossible to under-estimate! He (I assume it’s a he from the witty if false-modest name, ha ha!) always ceases to amaze me. Ranging through diverse topics such as from global politics through what’s going on in the garden all the way to fine eating and especially drinking, you can see the quality of the thoughts and the writing steadily modulating, in sometimes unforeseeable ways, as each evening progresses. Never one to eschew the Thesaurus either, hes more than happy to provide neologistic adumbrations, or whatever they are, when the right word proves to be elusive, or illegible. And the rare illustrations are … well, Pictures!! Read it, I promise your life will change!!! Tim said: thank you, p.p. Posy. I am working on your anagrammatic pseudonym. Er, first word ‘sock’? This is going to go down well in the fridge, isn't it? A while ago I promised you, as a follow-up to my rock’n’roll years, a day-by-day account of my life in the banking industry, and I always try to keep promises. As it lasted slightly more than thirty years, the word ‘day’ need not be taken too literally. After the dissolution of the band, I crawled back to England, broke, destitute and saddled with physical and emotional baggage. So I – we – went back to live with my parents in Bournemouth. They were generous, accommodating, and decreasingly sympathetic. But my attitude was very different from the last time I’d done this. Then, in 1964 after university, I’d assumed the world owed me a living, but wasn’t quite prepared to work for it. This time, I still assumed that, but I’d learned a bit about work. Not least, that you needed to do it to get money. I applied for dozens of jobs. One I remember was a door-to-door seller of pyramid schemes; another was the fourth member of an outfit which designed and marketed wallcharts. (I probably should have gone for that one.) But eventually I secured a post with a small, rather odd banking organisation called Glyn Mills & Co. They were about to merge with two other banks to form Williams and Glyn’s, and it’s a nostalgic reflection that, in those days, when companies merged they felt they needed to take on staff. But I like to believe that Peter Richards, Glyn Mills’ one-man HR department, saw something more in me. I turned up for work on my first day. How I reached this capability – London accommodation, transport, clothing (a light blue three-piece with 15 inch flares on tick from Alexandré the tailor at £5 a month) – is another story. The Glyn’s banking hall at 67 Lombard Street was imposingly, echoingly Victorian. I was greeted by a scary liveried doorman, who consulted a list, smiled, and handed me over to a frighteningly beautiful lady who escorted me up in the lift, where I was welcomed by my first boss, Geoff Stickland. Geoff showed me around the Foreign Exchange Department, introduced me to the girl (whose name I’m afraid I’ve forgotten – Sally? – though not her face) with whom I’d be working, and then asked me whether I liked Guinness. Not really, I said. Oh well, never mind, the bitter’s just about drinkable, he told me, and took me up two floors to show me where the bar was. 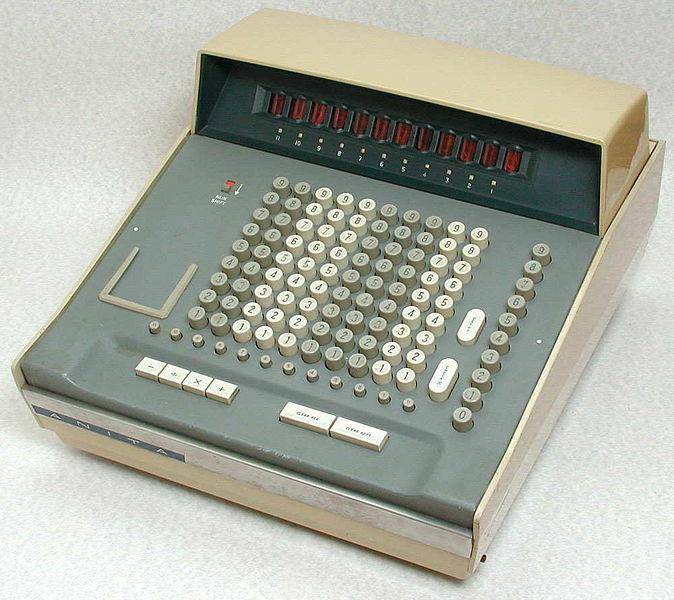 My first job was to operate a comptometer. Given an amount of, say, dollars, and an exchange rate (assigned by the dealers, of whom more later), you keyed in these two numbers and the machine spewed out the answer, which you wrote down and passed on. Here’s a picture of a comptometer, though I don’t think it was the one I operated; it looks a bit modern. The international payment (for such, after a while, I discovered it was), then moved on along two different routes. One part went to ‘slips’, the other to the typists. I was quite quickly promoted to slips, where you had to write out two bits of paper, a blue and a yellow, representing a debit and a credit, which then got disposed into something called the Waste. Of course, I asked why it was called that – given that these were the entries that would eventually appear on people’s statements, it seemed a reasonable question. Nobody knew, and I still don’t. The form went through to the typists, who created an immaculately typed payment order, which would eventually get checked, by checkers, and then signed (by the top boss, Tiger Homes) and despatched. There were TTs (telegraphic transfers, which went to the cable room), MTs (mail transfers) and AMTs. No-one knew what the A stood for (‘Air’, it turned out). I got promoted to a checker a few weeks in, which drew me into a closer relationship with the hitherto remote typists. Brenda, Val, Jo, Donna, Jeanette. Brenda and Val were middle-aged and married. Jo, Donna and Jeanette weren’t. The whole system ran on alcohol. In particular, the dealers, whose job it was to make sure there was enough money in the kitty to keep all those payments flowing, would decamp en masse to a cramped, black hovel off Change Alley called the Jampot, returning just in time to catch the New York opening and, hopefully, cover their positions. Once, a guy called Mickey staggered back, accidentally got it the wrong way round, and discovered, just before London closed, that he’d stumbled into buying the world’s entire stock of sterling. I never found out just how much money the bank made out of this, but he wasn’t around for long afterwards. You can’t often get away with that one. I’d better stop for now. More to come, if you’re interested. The first in an occasional series of misused words where it matters. I agree (more or less) with the sentiment, and I don’t want to engage in the important debate about the available remedies, because this is about Use of English (which used to be an O level subject, and should still be). So with which of his words am I taking issue?